GRIM CLAN :: View topic - MY PC MEGA SCREWED!!!! Say it isn't so!!! Calling on Dr Gunny! Fusion try Xfire and see is gunny can help ya out. Bright side of all this is maybe you get to upgrade! Bios might have sensed the over heat and shut u down. After you let the comp cool for awhile did it work again? Perhaps your CPU fan is not cooling properly (might explain the noise). Thats all I got. Sorry dood. As Clark says the upside is and upgrade. Awesome news Fusion. Glad you got it sorted. Will be happy to see you in game soon. oh I almost forgot...I placed an advance order for a 2011 four seater forklift with turbo.,,,when can I expect delivery????? LMAO!! 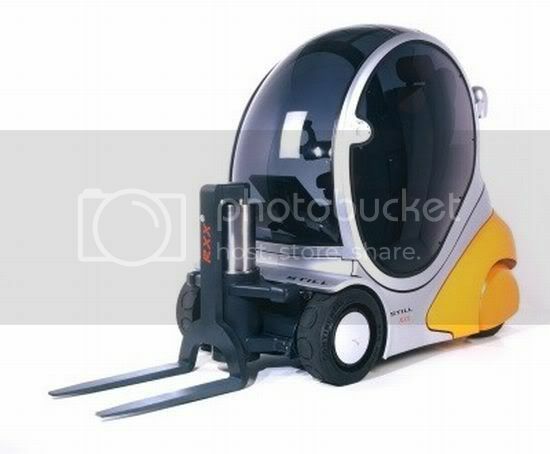 looks like a cross between a Smart Car and a forklift. Hey if it has turbo and bulletproof glass I am good to go!! when do you guys usually play now? don't have my hot-plug/hot-swap bay yet but got the HD all set up. Hey Fly, I'd like to say I play all day and night, but that would be a lie. Hope to see you on soon. Saw you playing earlier in XA, but i was fookin busy.... sorry I missed you. There was a great turf match just around 420 today. Just check in often coz we all play as often as we can. Got windows to start installing finally..its windows 7 prolly why its working... will post if i get it back up. Got it back up and running im so ready for a freaking upgrade! So, did you figure out what the problem was? you had said before that the heatsync was loose, did you apply more thermal compound when you put it back on? how's the cpu temp? can you believe Microsoft made a good product? what's the world coming to?